There are a lot of things to say about the special gathering known as Emissions West Coast Bass Culture, and that’s the reason it’s taken me nearly a month to gather my thoughts and reflect on the sweetness of that weekend. I went to Emissions kind of on a whim – I already had plans to be in Portland seeing family, and the festival had only just dropped its lineup. Seeing initial legends like The Pharcyde, Craze and DJ Nu-Mark at the head of the graphic, I pretty much decided then and there it would be a gathering worth checking out along with innovative beat masters like Stylust Beats, X&G and Thriftworks. So I was heading to a festival I’d never heard of in a city I’d never been to, ridin’ solo with just myself and a backpack. Tight. Beautiful Belden Town couldn’t have been a more perfect location to groove with bass freaks of all shapes and flavors, and it was only once I arrived that I realized we’d be staying on an epic resort for the weekend as well. Way to throw the cherry on top, am I right? The resort supplied us with all the festival amenities you could hope for – food and drinks, a fully functioning restaurant and bar, hotel, last minute razors for those hairy legs, oh, and bottles of Champagne to be bought all night long. 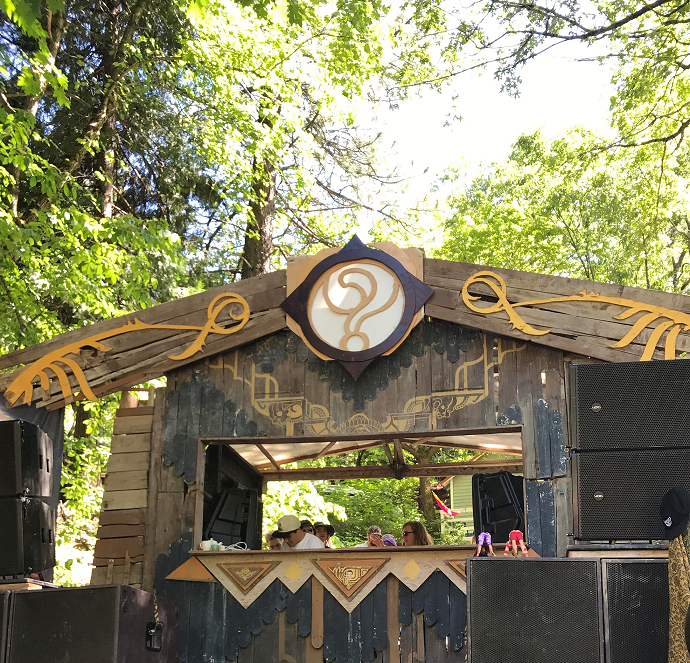 The grounds themselves were lush and stunning – a perfect bluebird sky greeted us all weekend long and massive trees provided ample amounts of shade even through the scorching days. 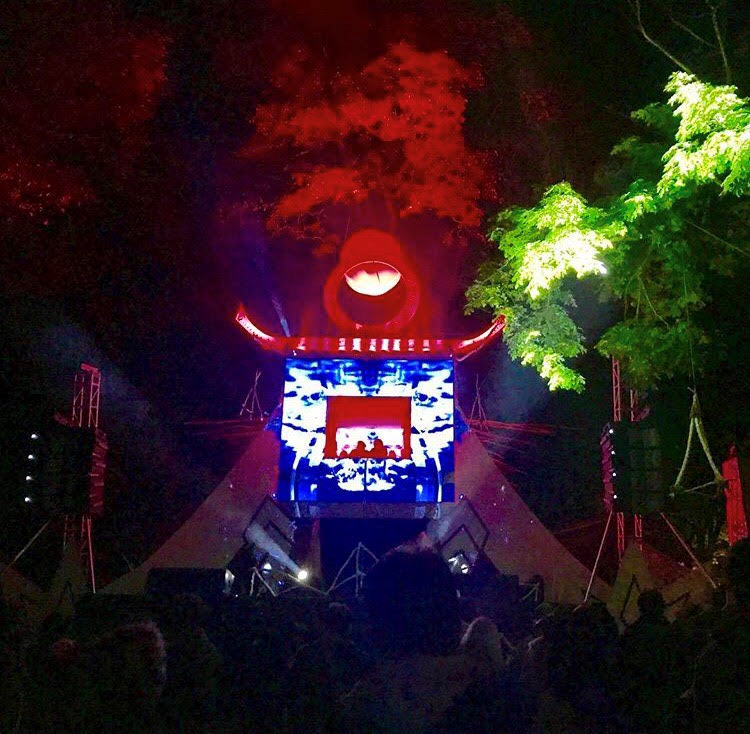 And at night, the forests came alive with the help of Emissions’ talented visual artists, who lit up the stages with delectably strange projections and colors. Emissions really showed me why smaller gatherings are so special – the community vibe cannot be beat, and it truly makes all the difference when you realize you’re partying with potential friends instead of a thousand strangers. It reminded me of a smaller West Coast Shambhala, which in my eyes is one of the best compliments I can give. Minimal waste, smiles for miles, and a goof troupe for the ages. I literally can’t recall how many friends I made just by sharing a quick smile or wave – the vibes were flying high from the first day to the last moment. Also, mega shout out to the cats I laughed in the sun with all morning before heading out – yall are the real MVPs. Each artist threw down their own versions of the west coast’s freaky flavor, and it was a delight and a pleasure to get down on the dance floor to it all. Musical highlights for me included Proko, X&G, Yheti, Stylust Beats’ hip hop set at the Beach Stage, Tsuruda, Graves, and Chase Manhattan. 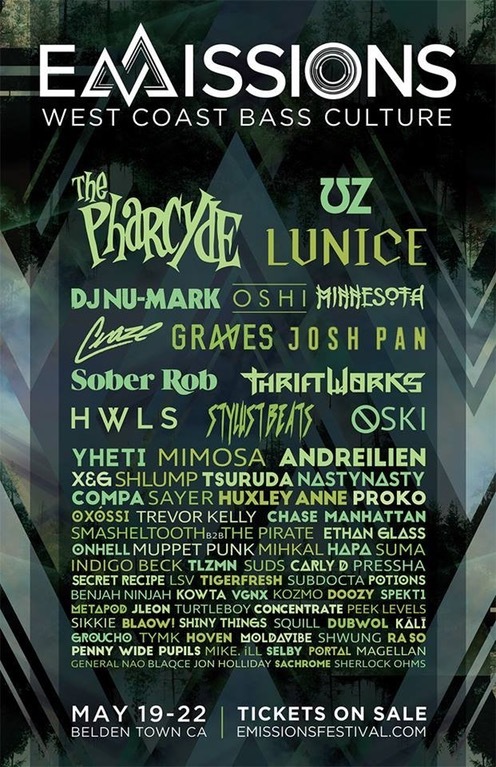 Special sunrise set shout-outs to Huxley Anne, Thriftworks and SAYER. Now that I’ve been let in on the secret known as Camp Questionmark’s Emissions, I won’t be missing another for years to come. If you missed out this year, I highly encourage you to roll out to Belden Town and soak up the epic vibe going on there. You won’t regret it. Thank you to everyone out there that made my weekend great, new friends and old! You are all rockstars.